CLEVELAND — August 22, 2012 - One of the nation's top basketball recruits collapsed in the courtroom Tuesday after finding out he'd be heading to prison instead of back to the basketball court. FOX 8 cameras were rolling for the emotional pleas for mercy, including words offered by the victim. Tony Farmer was a standout at Garfield Heights and considered a superstar in the making, one of the country's top 100 recruits. Major colleges came knocking on his door when he was in the 10th grade. Farmer fell to the court floor when a Cuyahoga County judge sentenced him to three years in prison for assaulting his ex-girlfriend, Andrea Lane. 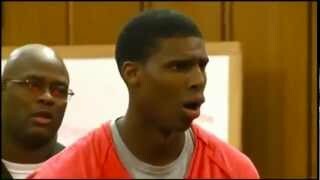 Jun 28, 2013 · Basketball Star Tony Farmer Collapses as Judge Reads 3 year PRISON sentence MUST WATCH.